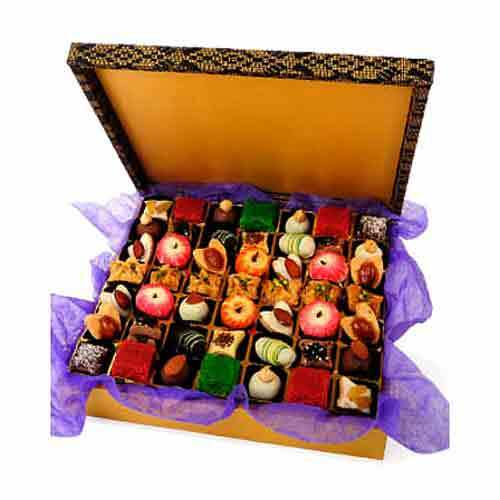 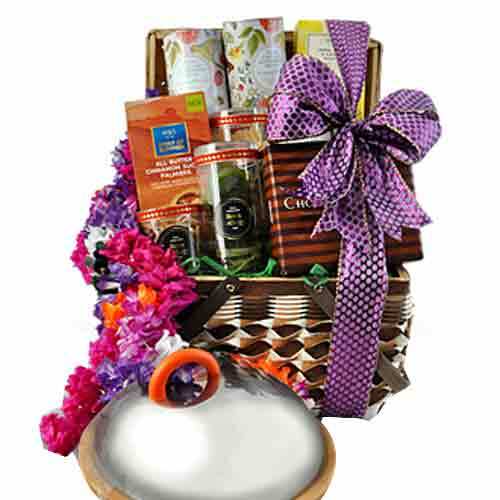 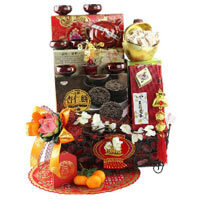 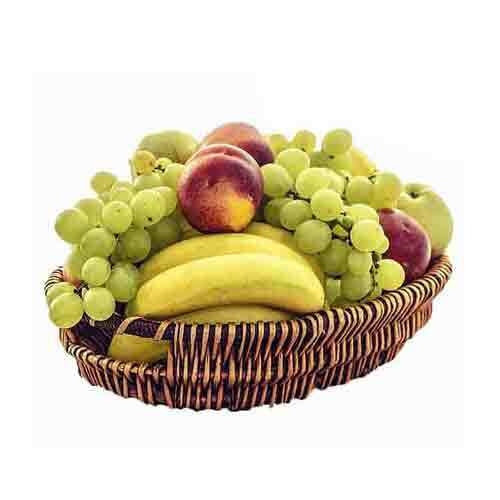 Description: This gift of Exciting Gourmet Holiday Treats Gift Pack will mesmerize the people whom you send this. 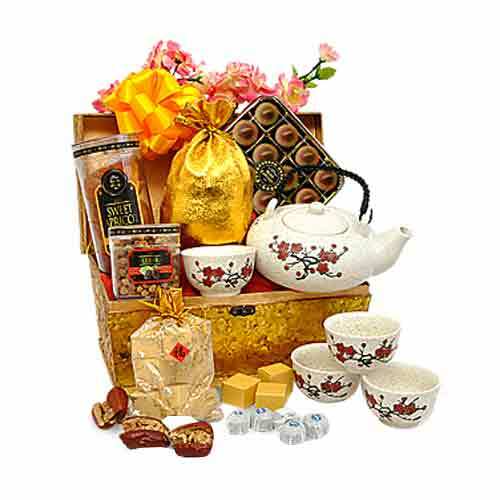 This Hamper makes a distinguished statement with Premium Puerh Tou Cha of 12 Pieces, Sweet Apricot of 280 grams, Ross Cottage Pineapple Tarts of 120 grams, Ross Cottage Sweet Mulberry of 108 grams, Red Dates Walnut of 138 grams, Lavand Pineapple Chocolate of 28 grams and Hand Painted Ching"er Tea Pot Set. 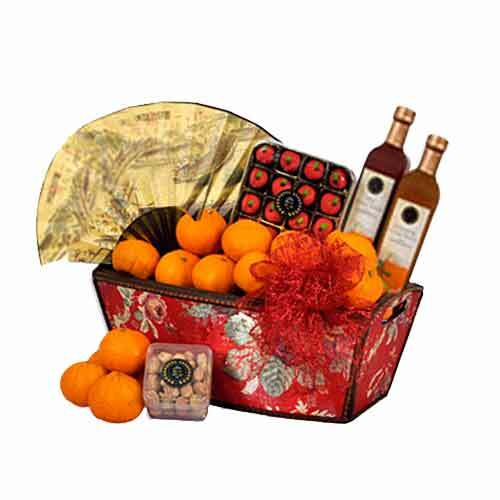 This abundance of wishes is artfully decked in a Muscovite Box accessorized with Festive Trimmings. 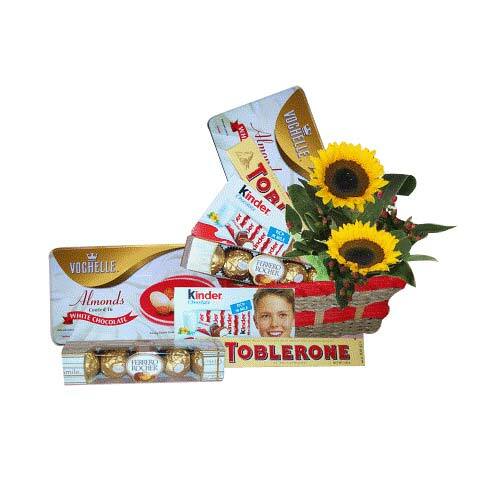 This basket includes:- Vochelle White Chocolate 205g, Ferrero Rocher Chocolate 60g,Toblerone Chocolate 100g & Kinder Chocolate 100g & Floral Gifts Basket.